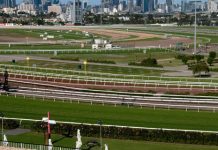 Home Horse Racing Pre-post Betting – Good or Bad? 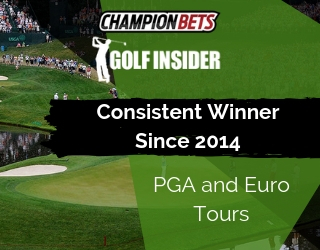 Pre-post Betting – Good or Bad? 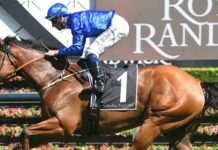 Pre-post Betting By guest contributor Todd Burmester The ultra impressive win of Atlantic Jewel in her return to racing at Randwick on the weekend, sparked a friend to ask me whether I would consider she is the leading contender for The Cox Plate this year. I paused for a moment, and told him that you would be mad to be considering a bet in The Cox Plate this far out from the race. This further got me thinking and I have to say, although I have been guilty of the odd flutter in advance – the concept of pre-post betting truly is fraught with danger and one that I would have to recommend against. In fact, the only real reason to do it, is that I think there is some level of satisfaction if you do come up with the winner, knowing that you were smart enough to work it out well ahead of time. Invariably, it seems that two other options occur however. One is that the horse actually ends up the same if not better odds on the day of the race, or the other, is that the horse never actually ends up starting in the race! So I pose the question of value, as, I assume that is the major draw card to most punters who punt in advance and I would suggest to you that these pre post markets are generally stacked well in advance of “the house”. To demonstrate this, I thought I would share two real life examples with you. 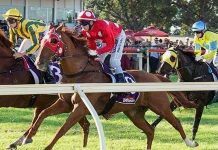 In the few weeks leading up to The Golden Slipper, Samaready was traded at around about $2.80 following her win at Rosehill. 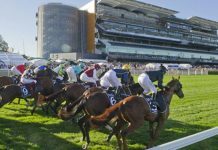 All of a sudden, All Too Hard burst onto the scene and was thrown into betting at around about the same odds of $2.80, after being much longer prior to his impressive Rosehill victory. Now, logic suggests to me, that if one horse shortens up that much, the other must blow. It wasn’t the case. I presume there must have been market movement in those wider in the market to accommodate All Too Hard – or was it simply that the market percentage grew and the bookies gave away nothing? Either way, those backing Samaready pre-post, after All Too Hard, an apparent $2.80 chance was now on the scene, had to be getting “ripped off”. We now see another example. 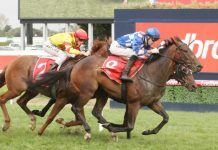 Late last week, Streama was odds of about $1.75 to win the upcoming Oaks in Sydney. On the weekend, we saw Full Of Spirit win well and the Roger James camp now talk of an Oaks start. 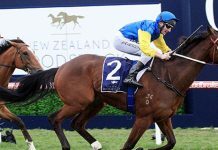 All of a sudden, she has rocketed into second favourite at around $5, yet I still see Streama at the head of the market at the same odds of $1.75. Again, I ask, If Full Of Spirit is now a $5 chance, surely this has to have some influence on the chances and therefore odds of Streama winning the race? I won’t be surprised if Streama is offered at better than $1.75 at some point during betting on Saturday, in much the same way that Samaready got out to longer than the pre-post quote, even with All Too Hard not even starting in the race! I will clarify what I have said above, by saying, that once a final field for the race is declared, there can be value to be found from Thursday onwards, when a race is being run on Saturday, if you are aware that a horse is likely to be well backed on the day. That is a different situation to pre-post all in betting that I am referring to above. Overall, the moral of this story, I feel, is that if you are having an all in pre-post bet, be prepared to a) not get a start, or b) end up taking “unders”. 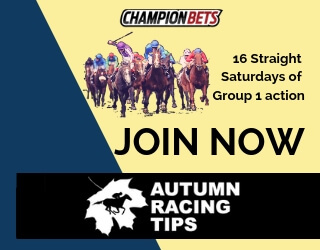 I think the only real circumstance where you will find value in this sort of betting is when you snag yourself one at 50/1 or better that happens to find form after you back it and manages to stay sound and gain itself a start through the relevant balloting processes and what not!